With more than 100 years of specialized product experience and knowledge, no other manufacturer provides the variety of stainless steel products and sizes as Felker Piping Products, a division of Felker Brothers Corporation. With a quality management system registered to the ISO 9001 standard, Felker Brothers aspires to a manufacturing quality consistently higher than industry standards and specifications. 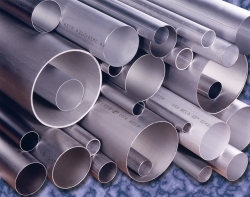 For all your stainless steel pipe, tube and fitting requirements, look to Felker Piping Products for quality and dependability you can rely on time and time again.